On early Sunday morning the full voting results were revealed by the EBU and with it came the shock announcement that the jury votes for FYR Macedonia and Montenegro had been excluded, with the EBU reverting to each country’s televote for 100% of the vote. The jury results of F.Y.R. Macedonia and Montenegro for the Grand Final have been excluded after consultation of PwC, the contest’s independent voting observer, and upon the decision of the Executive Supervisor and the Chairman of the Reference Group. This follows a jury voting scandal in 2014 when it was discovered the Georgian jury had ranked their top eight songs identically – statistically improbable. The Georgian jury vote was discounted and the televote alone was used. i had written about ITALY’s winning minutes before the final voting started. I heard it from trustful resources and wanted to greet them but when the sweeden came 1st i was pretty surprised. This showed the unjustice of voting system once again. ESC has to be ashamed of not counting milions of ppl votes. >juries shouldn’t overwrite the people’s opinion. But that’s the juries’ job. To temper the whims of the ignorant masses, such as those who thought Albania sang OK.
It’s not going to change. Several countries in Western Europe will drop out if it does, and the EBU knows it, so y’all might as well cool your jets. “They’ll stop novelty acts from winning” Whether novelty acts are good or bad is subjective, but juries shouldn’t overwrite the people’s opinion. The winner should obviously be the people’s favorite. I’m very proud in the European public for choosing Italy, you’d think it would be the other way around, a jury picking a sophisticated song while the public becomes blinded by a silly Swedish cartoon, but no. This proves that the public can and should make all othe the decisions. To that person saying “Sweden won and that’s final” No it’s not. Sweden did not win. Sweden won over a couple of people, while Italy was Europe’s FAVORITE. Italy was Europe’s WINNER. The people voted and their vote was USELESS because of the jury. Robin stjänberg won the televote but came 5th cuz of the jury nothing new here thats how the system works deal with it. my favorite was austrailia but you morons talk about italy i love opera but that song was so boring among the other boring ballads this year. there was only 3 uptempo songs this year do you really think a jury would have favored a ballad when 97% of the songs are ballads. there job is to reward the original songs this year uptempo was original. – the hosts at the final. OH YES?? Are you sure? 36milions people votes for Italy. Result? 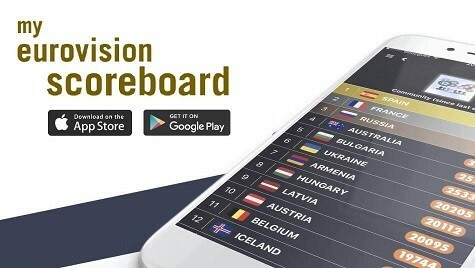 Sweden wins and Italy is ranked 3rd, not even 2nd! The right word here is “ROBBED” guys. They robbed il Volo and they also robbed the people all over Europe who voted for them. Yes Sweden might have won ( thanks to the judges ) but it was IL VOLO / ITALY with GRANDE AMORE that won the people’s hearts on the night ! not just by the televiewers but also but the crowds in the arena ! the people have voted very clearly as to what type of music they want to hear ! Thank you IL VOLO , you have brought back class and style back to Eurovision ! Is that one person screaming about Italy being the winner. I bet quite a majority would disagree with this. The winner is Sweden. That is how it was announced. Full stop. Strange. All the jury members from AZE placed ARM 26th and ARM placed AZE 26th also. That’s also cheating. I wnat #fairplay at Eurovision! @ESCaddict I think there’s some problem with juries … how can a technical jury, that has to judge quality, give 1st place to Sweden and 6th to Italy? Is Sweden, in quality and technique, better than Italy this year? Italy was robbed by the juries and seriously even if just one person from the EBU or in general come out and say to keep calm it’s not a big deal and that juries didn’t robbed anyone i’m gonna punch them in the face because this song, these voices and generally everything about the Italian act this year deserved to win. EBU change the rules to every countries get points like from 1971 to 1973, and incraase member of juries like in past 16 members in 4 different ages group and 2 female and 2 male in each group. Adding that new category “Possible future hit” means that they have closed the door to the countries without voting blocks/large diaspora, who were targetting older voters (in the wake of last year’s 1&2). You are right that scandi pop will move to the fore, but it also means that the “peace & love” brigade from the other voting block will also become more prominent. Expect a two-horse race from now on….. EXCLUDE ALL OF THE JURIES & ANNOUNCE ITALY AS THE WINNER. THE VIEWERS HAVE BEEN ROBBED! There’s your proof that the juries are a feature, not a bug. They’re there to save Eurovision fans from themselves. personally, I loved Russia and prefered her to win. BUT Italy won the televote aka millions of people recognized the quality of great Vocals and beautiful national language as well as a powerful song. Juries should be professionals but still can’t distinguish between quality & overhype.Every year there is a scandal with the juries and someone is suspended.PLEASE EBU, PUT THE JURIES TO REST.THEY ARE CORRUPTED AND NOT NEEDED. Of course song and voice must be judged. But many eurovision-songs are just for Eurovision. I thought Grande Amore and last years Rise like a phoenix was those kind of songs, that’s all. Måns had the package including a “possible future hit”. I’m glad and surprised at the same time that Sweden won the jury voting. I’m glad that not only voice and song is the only thing they judge. That they have looked at the whole picture this time. Then Sweden was really the best in my opinion. Grande Amore was only for Eurovision and Il Volo have their success already. Maybe that have something to do with it not scoring that high as well. It’s a normal thing in FYROM. Remember Skopje Fest 2014-15 when 5 people were arrested in connection with trying to rig the vote in favour of Daniel Kajmakoski? Montenegro did the same thing last year as well. I think. The juries need a larger sample size. They could even do like the wiwijury and eliminate the statistical outliers, which would ensure a more representative result. Calm down people. We CAN’T have a 100% jury or 100% televote system – neither is fair. A 50/50 is the best way to go. Is wiwibloggs gonna keep pretending that Italy wasn’t robbed or what? It’s not just that it won the televote, it’s that it won the televote and it also happened to be the best technically/musically speaking, which is the criteria the juries should’ve used (yes, including “next future hit”, because Grande Amore is already a hit); yet the juries dragged it down in favor of Sweden, when Måns had issues according to press reports and Måns himself. Can we all just talk about how Albania did so well with televotes but so bad with jury. I mean,her performance could have not been good,but i dont think it was bad enough to rank her last. It’s really funny how everyone’s so mad about the juries destroying Italy. That was such a relief for me as Italy was my least favourite song this whole year. Thankfully the juries destroyed it like they should’ve, and also helped out Latvia and Norway. Sadly, they did destroy Estonia though, which unlike Italy, didn’t deserve that. @Rhys: You better calm down, we all know this site is biased against Italy. I am SHOCKED with the result for ITALY(winner), Spain (this should be at least in top 10), Slovenia, Albania( 9th with televotes), Estonia (2nd for me), and who are those JURIES than give the victory to an artist that cannot be creative in his own, Sweden( thnx EBU and money , hope you are not a Second Azerbaijan). i think we definitely need some new faces in the EBU. Jon Ola Sand and Christer Bjorkman are ultimately the reasons for this dominant scandi block. I wouldn’t be surprised if Christer Bjorkman’s got links to a few jurors too. Jesus dramatic much. Never read comments from so many prima donnas before. Calm down petals or you’ll ruin your mascara with your tears of frustration. Hey people, I think I know why Sweden won the jury. There was a new judging criteria this year which was “Possible Future Hit” and obviously Sweden together with Belgium would have won that. I think that every country where this happens should be banned for a year. Should have happened with Georgia too last year. Jury votes are not always bad, they always have two sides. This year, they dragged down Italy who clearly deserved to be the winner and not only 6th place. On the other hand, the juries also stopped huge diaspora voting (e.g. 12 points from Switzerland to Albania…). Therefore, every sign of vote fraud has to have consequences and the EBU really has to ban the countries for at least one year, otherwise their credibility further decreases. People shouting about Italy. Remember 2011? The juries totally favored Italy. They won the jury vote and came 11th in the televote – and therefore they finished 2nd. Using your logic, they totally robbed all the other contestants that finished higher in the televote. Sometimes you loose among the juries, sometimes you win. Deal with it. @Euphoria: May I add that neither Austria nor Germany got 0 points with the Jury. In fact according to the Jury Austria should have achieved 40 Points. WhilenI do think that the Jury robbed Italy, I also think that they did a great job at destroying Finland ( Thank god.or otherwise it would have qualified with just televoting ) and lowering the huge diaspora of countries such as Armenia and Poland. Shame on jurors. Italy is the real winner. LOL I think every country should have excluded the jury votes. No professional jury would have given Italy that amount of points. How about you investiagate that PwC! And why do you make people waste their money when their voice don’t get heard? Millions of Voices were shut up with that verdict! Just saying. Yes, you are right, I made a mistake, I was writing about 2011. When it comes to Malta – i didnt know that. If it is true than maybe it is a problem of some small countries. Or maybe it is still a coincidence.